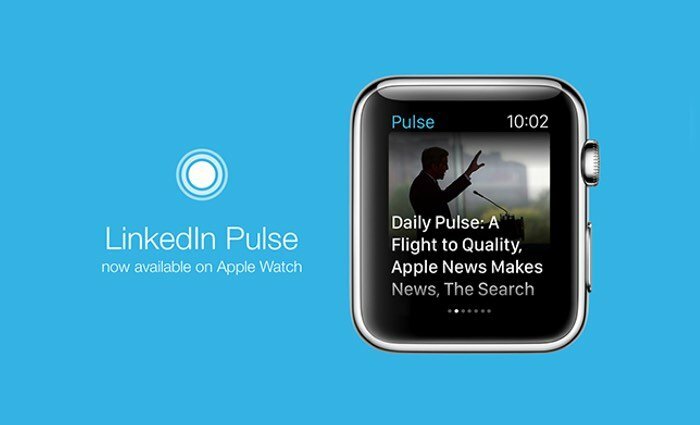 Apple Watch users that enjoy using LinkedIn’s Pulse application that provides a snippet of the day’s news, on their smartphone. Maybe interested to learn that LinkedIn has today released a new Pulse Apple Watch application which provides the same functionality directly from your wrist worn device. Your daily news, powered by your professional world. Pulse breaks through the noise with timely and tailored news you need to know, saving you time. See what your network and peers are reading, be informed with the top news in your industry, and get notified when your connections make the news. Watch how Pulse is smart, learning from every topic, person, and company you follow – to bring you personalized recommendations. Now you’ll always have something sharp to talk about, every day. to download the new Pulse Apple Watch app jump over to the iTunes App Store.